The emotional challenges you face may be compounded by pressing financial stress, anxiety and concerns about an uncertain future. Let our family fight for yours so you can receive the justice you deserve. An experienced wrongful death attorney from the Glorioso Law Firm understands that wrongful death and survivor action laws are separate and distinct. Each arises at a different time and addresses itself to the recovery of damages for totaling different injuries and losses. Wrongful death action can be the result of a car accident, negligence or medical malpractice. A wrongful death action comes into existence upon the tort victim’s death and serves to compensate a certain class of persons for the loss occasioned by the wrongful killing of the decendent. The beneficiary’s action compensates for their own personal losses, both economic and emotional, suffered as a result of the tort victim’s death. A wrongful death attorney can also fight for you in another suit that is Survivor Action. The survival action in a suit comes into existence simultaneously with the existence of tort and is transmitted to beneficiaries upon the victim’s death. This action permits recovery only for the damages suffered by the victim from the time of injury to the moment of death. An example of survivor action would be a victim who is injured in a car wreck due to a defendant’s negligence and files a lawsuit, but dies before the suit is settled or resolved. In this case, the victim’s estate may take over the case against the defendant. If a family member died as a result of wrongful death, let our family fight for yours so you can receive the justice you deserve. 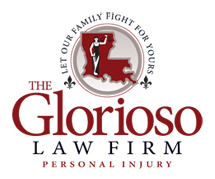 The Glorioso Law Firm can help you no matter where you live. We can handle wrongful death and survivor action cases in any city in the State of Louisiana.